I have been busy for couple of weeks..I didnt get time to sit and compose this post.Making idiyappam is my recent favorite , I tried many versions of it.I couldnt click everytime with my dslr.But some of the dishes are clicked only by my phone.I made this for dinner.Healthy and guilt free indulge ,you will be glad making it for your family :) Dont miss the ginger chutney is a great combo with ragi idiyappam. 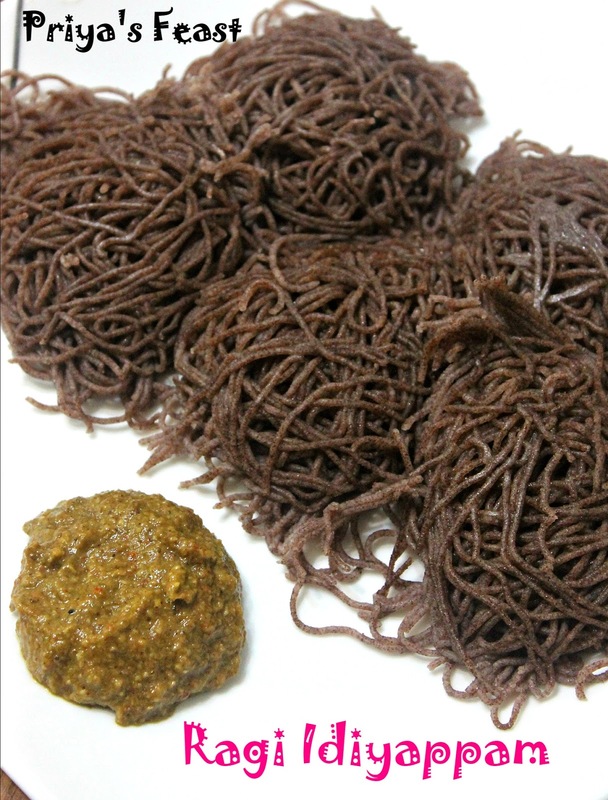 i usually serve ragi idiappam along with coconut chutney....should give this ginger chutney a try! !looks yummm! !